CogniTrade Review - Another Scam Software? Yes! Proofs Attached! 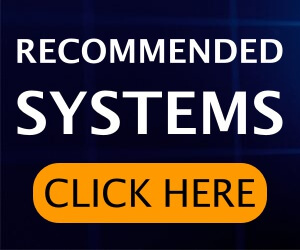 In this review, we share with you why the CogniTrade system is a scam and why it is not worth your time. This system which claims to be using cognitive computing technology is built to lose your money. 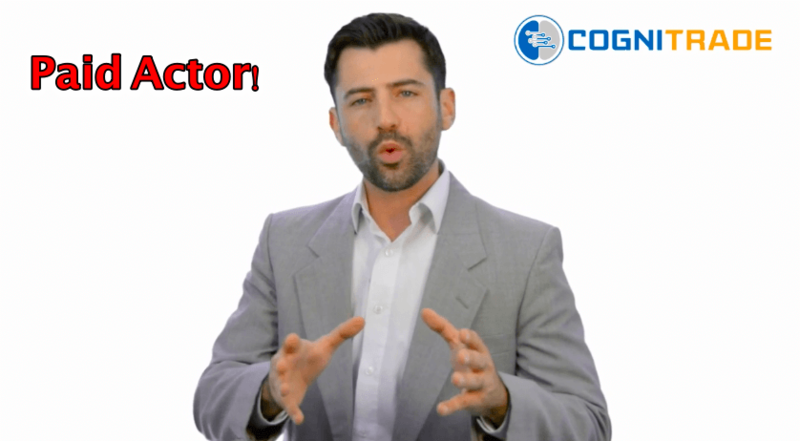 The scammers are continuously on the lookout to hijack cool sounding technical terms and use them in one way or another in their sales videos. They either name their scam software on one of those terms or falsely associate the technology to be the reason of their software’s success. What is more alarming is that the crooks have started using the names of tech giants like IBM in their pitch videos. 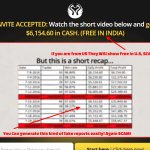 We are here to warn you from signing up to this scam system lest you should fall victim to it. The scammers have chosen the name ‘CogniTrade’ to make it look as if it employs the cognitive computing technology. Cognitive Computing is an emerging field where the special abilities of humans are explored and systems are designed to work like humans and make decisions like humans would. Such systems are akin to putting Artificial Intelligence (AI) to good use. The CogniTrade software allegedly makes use of this technology for earning profits and making trading decisions like a ‘seasoned broker’ who tirelessly keeps on making profits for you. We are informed about the special features of the CogniTrade software by none other than its CEO Mr. Cameron Doyle. Mr. Doyle tells us how he used in the capacity of a System Analyst for IBM and about his low salary and low quality work. This was all some five years ago, until he started working on the cognitive computing technology along with a few colleagues. We are told how his team input Forex data into supercomputers and the cognitive computing database to earn over $26K in the first week itself. But, we did not understand how they got the permission to use IBM proprietary technology for their own personal use. Moreover, how come an analyst from a different technical background went on to become the CEO of a company like CogniTrade while none out of the actual team working on cognitive computing technology in IBM managed to do so before him? How Much Can the CogniTrade System Earn? The CogniTrade software is reportedly an auto-trading software which processes about 142 trades per day. 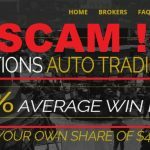 The software has a winning rate of 95.2% as Mr. Doyle claims and is capable of making a daily profit between the $1,000 to $1530 ranges. 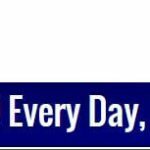 Somewhere else on the website it is also mentioned that over $15,000 per day can be made in some cases. Such wild claims point to one and only thing that it’s a scam. There have been all sorts of claims revolving around the profits that the CogniTrade software has made for Mr. Doyle and his team over the years. He claims to have personally made over $10 million in the last three years. It’s just an outrageous thing to say and believe. Every user that gets to use the software can allegedly make over $256K per year! The video shows fast and flashy cars, luxury cruises and what not. All the symbols of rich lifestyle have been generously shown. The CogniTrade Software is Available Just ‘Today’? There has been a confusing ‘today’ and ‘tomorrow’ song playing in the video. We are talking about the statement that Mr. Doyle makes in the video many a times that the software would cease to be available after ‘today’ and that it was also made available to twenty people yesterday. While the truth is we had watched the video yesterday, and it was perfectly ‘available’ today while ideally, it should not have been still playing, going by their words. Mark our words, the sales video is here to stay and this lure of spots and limited time availability is just a ploy to make you do something hasty and foolish. The CogniTrade Software is Free! Like it always is, the CogniTrade is free of cost. We are sure that those of you who are new to binary options trading or know very little about it, must have felt inclined to ‘give it a try’ at least one upon hearing this. Thank your luck if you managed to sneak out well in time out of their website. Even water is not free nowadays, and someone is giving away money making software just like that? The explanation Mr. Doyle gives for it is that this offer would expire after today and that the software would be made available for public on Kickstarter.com for a price. He quotes the price to be $979 for the setup and $49 extra per month for usage. The team of brokers Mr. Doyle has contacts (or rather contracts?) with would allegedly fund the trading accounts for the twenty users that are allowed to gain access to the system. In return of this, the brokers would charge a fraction of a percent worth of monthly profits from them. The scammers have roped in an actor to play the role of the multi-millionaire CEO Mr. Doyle. No person with the credentials of a Cameron Doyle has worked with IBM before and is the CEO of any company. The sales video makes use of actors to pretend as if they are the genuine users of the system. 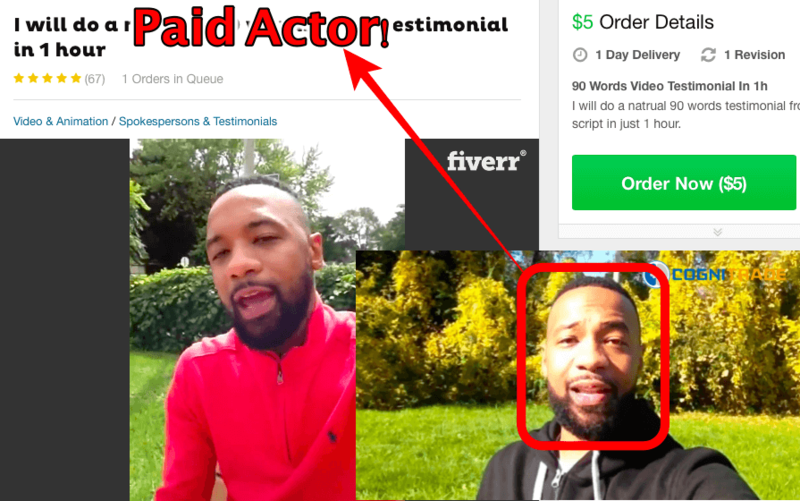 The actors have appeared in scam videos so many times now that their appearance itself makes our task of distinguishing the genuine software from the scam ones, easier. Take the example of the man who is seen ‘thanking’ Cameron profusely. We have seen this person in the InsideTrader scam software and many other sales pitch videos for similar software too. Don’t know just how many times does this person reckon that his ‘life has completely changed’. If his life had changed completely for his good after using the Nasdaq InsideTrader software, then again a total change would mean that his life has become a hell, isn’t it? Verdict – CogniTrade is 100% Scam. Avoid It At Any Cost! In what is our best effort to investigate and bring to you an impartial and unbiased review on the CogniTrade software, we hope our hard work doesn’t go waste. It would be so only when you ignore this scam product and take notice of whatever facts we have pointed out in our CogniTrade review. The software would not earn you huge profits but will result in you losing your investments on the contrary.